I was at IKEA, one of my favs, and I found these cute little lights that you plug into your usb on your computer. It let's you work in the dark and still see the keyboard, which I do frequently after hubby goes to sleep or when my class is watching a video. They were only $4.99. So I got the idea to give them to my team for all their hard work this year. Here's the one from IKEA: LED USB lamp but I also found a similar one on Amazon. These are the ones that I bought for my colleagues at work. Gooseneck LED lamp $5.25. You can get my little label here if you like this idea! I'm sure there are many people who "light" up your days! 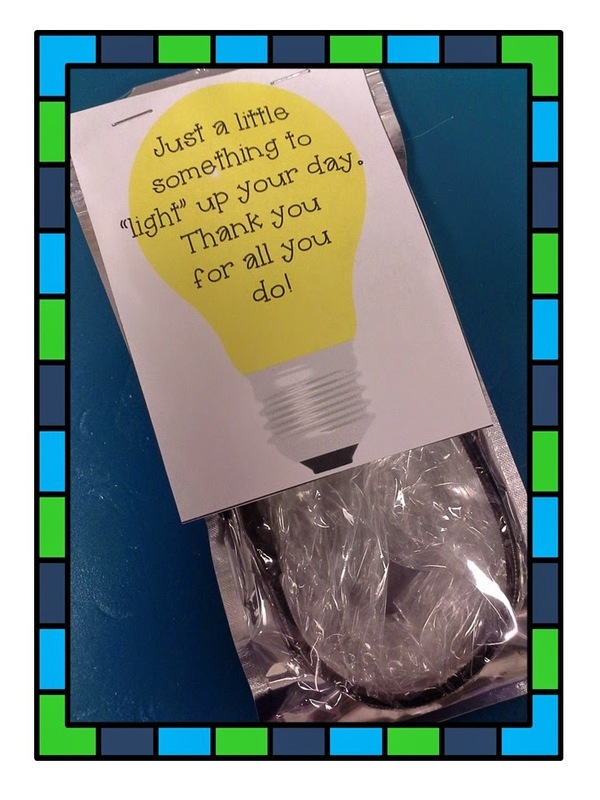 This would make great teacher appreciation gifts for your own kid's teachers too!